I need velvet in my wardrobe! 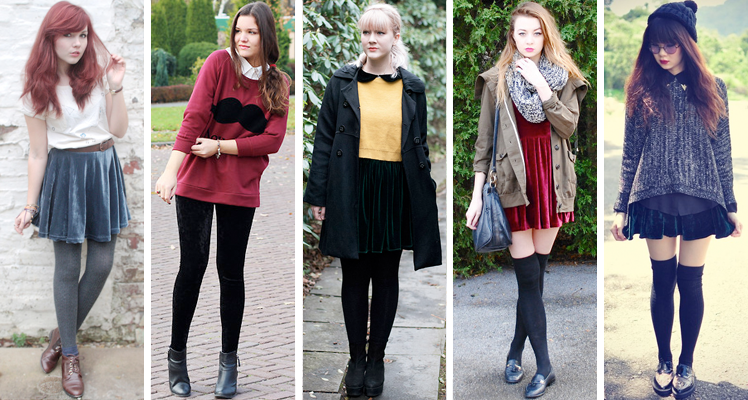 all the bloggers look lovely in velvet! I like velvet in the winter too. Good picks. I love velvet, I have to show show you one of my lastest velvet purchases, I thik you'll like it. Thanks for featuring me darling its a really great post! I'm so in live with velvet as well!! love this post. great selections and i love to see photos of how others have styled it. you have an excellent blog here darling. Velvet is such a lovely fabric for winter! These pictures are absolutely gorgeous. Thank you for sharing all this style inspiration! Cool velvet picks. I like the wedges. Love love tour blog ! Following you now ! really nice post! such an inspiration. my favorit is number 5 - the green velvet skirt in combination with the white blouse! Cool blog! :-) We really get inspired. Definitely loving velvet too. That headband looks cute, I've never seen that!